Teachers and students both love this height-adjustable and easy-to-move task chair. 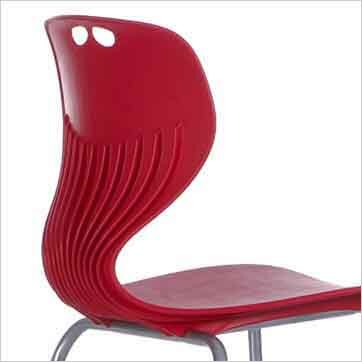 Available in two sizes and a wide variety of shell colors, it suits any type of active classroom. The BFF Pneumatic Swivel Chair is an updated alternative to the traditional desk chair. The modern shape of the molded seat is comfortable, supportive, and easier to clean than its traditional, fully upholstered counterpart. Height adjustable via pneumatic gaslift with a range of 5.3 inches.